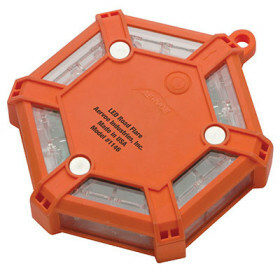 AERVOE LED Classic Road Flare (Single) » Protective Solutions, Inc.
An 18-LED Road Flare that is a safe alternative to incendiary flares. Battery-operated and extremely durable. May be used in any weather condition. Ideal for road safety identification by emergency responders, personal vehicles, construction sites, or marine applications. Available in Red or Yellow.